Professionals and homeowners prefer low-maintenance, high quality home siding made of vinyl or polymer over wood, fiber cement, brick or stucco options. 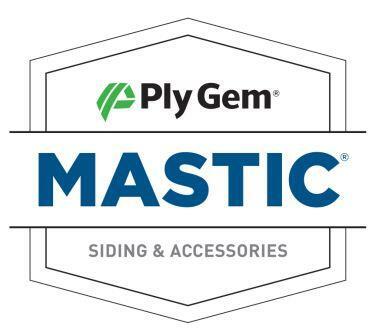 And it’s easy to see why Mastic is a favorite choice for vinyl siding, as they offer a range of siding and accessories that has more colors, textures and profiles that will all work together great to give you your own customized look. Although do-it-yourself siding projects are something that may at first seem tempting, they typically lead to unsatisfactory results, due to inexperience, and which may end up costing you a significant amount of more money in the end to repair. For this reason, such tasks are best left in the hands of experts at Superior Roofing & Siding. The professionals at Superior Roofing have the experience and skills to install siding in the most professional, high quality manner possible, and will add beauty and value to your home. The siding on your home plays an important role for a number of different reasons. Siding can help reduce your energy bills and keep your home insulated while looking beautiful at the same time. Another benefit of siding is that you have a broad spectrum of colors that include rich hues as well as traditional neutral tones to suit any color palette, a variety of architectural styles, and textures to choose from, which guarantees you can find the right style for your home. Siding is important for your home because it provides an additional layer of protection from the elements. Siding is designed to not only add a beautiful look to your home, but to prevent water damage caused from rain, hail damage, high winds, and even fire.